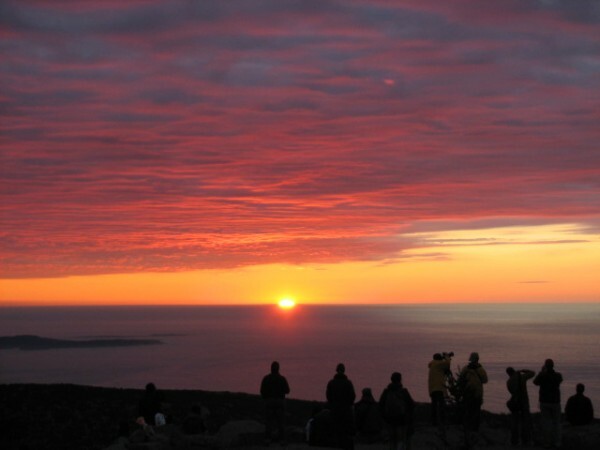 Even while our citizens endured the partial shutdown of government and the near total shutdown of governance, that lead photon on that first ray of sunlight coming over the horizon each morning still managed to awaken the continental United States by hitting its mark on the summit of Cadillac Mountain in Maine’s Acadia National Park. And while the roads of this nation’s first national park east of the Mississippi remained unplowed, the garbage uncollected, and the visitor’s center unmanned, the sun still continued to shine. It seems the natural order of the universe and nature function quite well without government–the human species not so much! 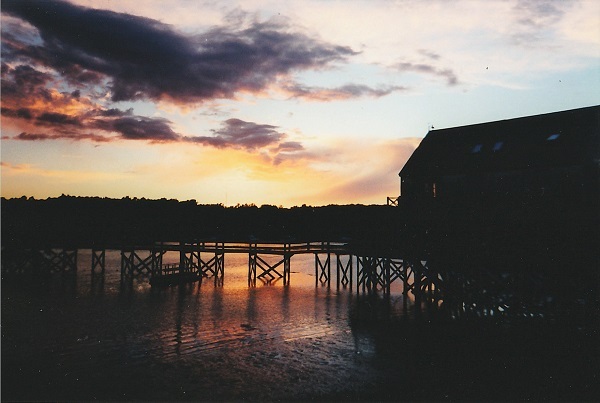 In the course of my own travels, I have found there is a bit of magic in that light that caresses the coast of Maine. For me personally, it has been a source of comfort, clarity, and inspiration. Not that I’m questioning the effectiveness of sunshine south of the Piscataqua, but that mix of both man-made and metaphorical pollution seems to have somewhat diminished the curative effects–especially along that storied stretch of the Potomac in Washington. Approximately 116 nautical miles south of Acadia lies one family’s fortress that has weathered many Atlantic gales and has witnessed many a sunrise since the turn of the last century. 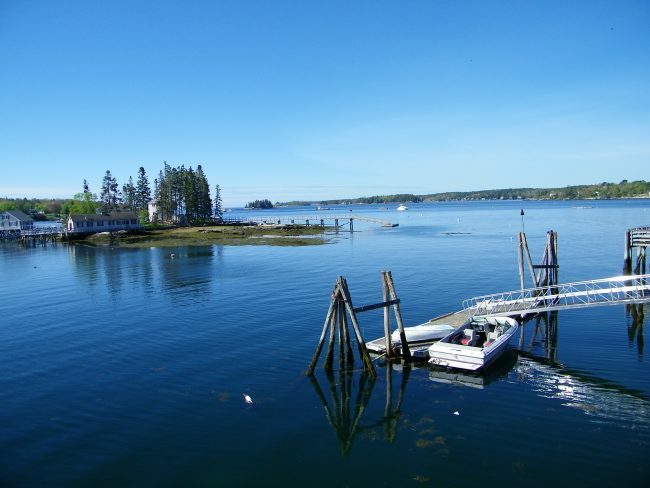 And for most of my time, while trying to unsuccessfully coax the ocean’s bounty onto the end of my fishing rod in the waters off Kennebunkport, I was pretty much unaware of the potential political dynasty that was mixing vodka martinis on the lawn and playing tennis on the court at Walker’s Point. But during the summer of 1990, a few months before our armed incursion into Iraq, I became keenly aware that the price of oil was of far greater concern than the price of lobster. It was also during this period that I discovered that the 41st President of the United States enjoyed a good glass of beer as much as he enjoyed his martinis. The talk around town was that George H. W. Bush on occasion would be spotted hoisting a pint with locals and tourists alike. And by the end of his presidency, the opening of Federal Jack’s Brewpub in Kennebunkport would help to make his loss to William Jefferson Clinton in 1992 and subsequent retirement at Walker’s Point a bit more tolerable. And while there may have been a few dark clouds that obscured the late president’s so-called “1000 points of light”–he was a man who truly believed in the value of selfless public service to country and the possibility that we could actually become a kinder and gentler nation. Sadly, the flame of that fanciful notion seems to waning as of late. During the stifling summer of 1787, our nation’s first president presided over the Constitutional Convention. Hot days and even hotter tempers fueled the often contentious proceedings at the Philadelphia Statehouse. While I have normally shared Mr. Franklin’s optimism about America’s future wellbeing, as of late, a few vexing shadows of doubt have darkened my horizon. Certainly, many thousand points of light continue to illuminate American skies, but our elected guiding lights have spent too much of their time in retreat under their respective red and blue bushels. So from my perspective, I’m not sure whether I’m seeing the dawn’s early light, the twilight’s last gleaming, or just the flickering lights of last call. Make mine a double–it’s an awfully long road home–and an even longer road to 2020!